Narrow ruled pages for extensive note-taking. 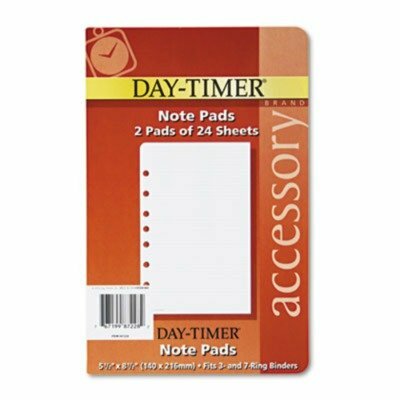 Ideal add-in sheets adaptable to just about any organizer section you want to create. Green printing is easy on the eyes. Size: 5 1/2 x 8 1/2 Page Format: Lined Dated/Undated: Undated Refill Type: Lined Pages. If you have any questions about this product by Day-Timer, contact us by completing and submitting the form below. If you are looking for a specif part number, please include it with your message.